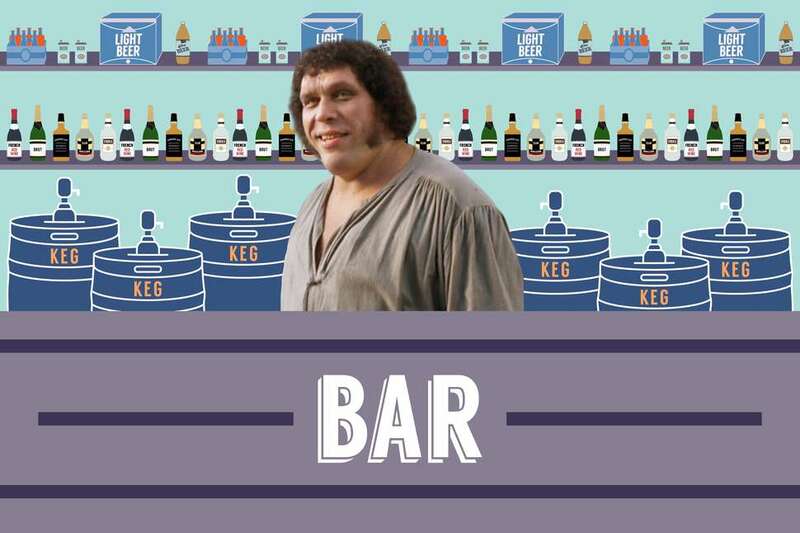 How Much Alcohol Could Andre the Giant Really Drink? 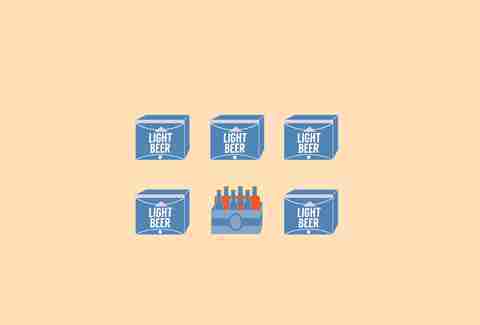 For most people, "99 Bottles of Beer" is an unrealistic and potentially deadly sing-along. For Andre Roussimoff, it was a casual Thursday night. Saying wrestler/actor/human aircraft carrier Andre the Giant was a large man is like saying Adam Rippon is kind of good at ice skating. And his girth (hehe) allowed him to become one of the most legendary drinkers to ever walk this earth. Yes, even more legendary than your Uncle Larry. In light of his upcoming, eponymous HBO Documentary (produced by Bill Simmons of 30 by 30 and the Ringer fame) premiering April 10, we've decided to dig into the Giant's drinking prowess and run the numbers on how much Andre could actually guzzle down in one night. It's shocking. It's appalling. And admittedly, it's pretty impressive. But please folks, don't try this at home. Like, for real. You'll die. In his prime, Andre clocked in at a stone-cold 7-foot-4 (4 inches taller than noted basketball man, Shaq) and 550 pounds. By the time he was 12 years old, he was already 6-foot-3 and 240 poudnds (he could definitely buy his friends beers). "The Giant" was not one of those ironic nicknames, as the "Eighth Wonder of the World" quite literally suffered from gigantism, which is what caused his tremendous size. In an appearance on Late Night With David Letterman, Andre admitted to drinking 119 beers in a single session. 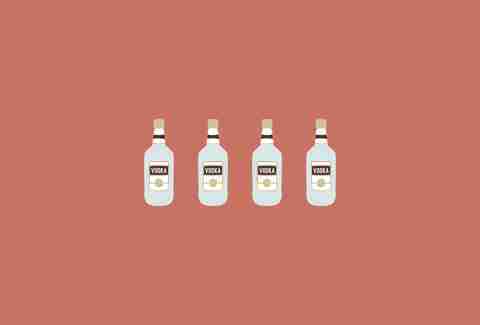 During surgery, he reportedly told an anesthesiologist it takes him "2 liters of vodka before [he] feels warm." On an episode of WWE's Legends of Wrestling, fellow wrassler Mike Graham confirmed he witnessed Andre consume 156 beers (in 16-ounce cans) in one night. Below, you'll find a visual representation of the outrageous volume of alcohol Andre the Giant was able to consume in one sitting (or falling). We'll use Graham's number as our example; we can assume Andre was just being a little bit bashful with his estimation. 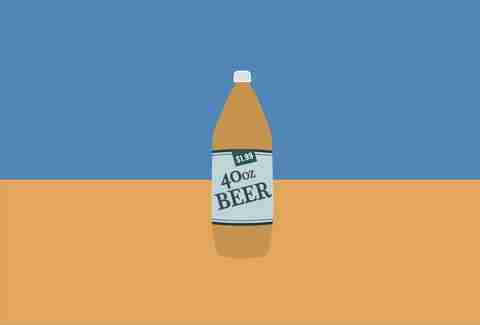 A the G's 156-beer total (at 16 ounces a piece) would equal out to 2,496 fluid ounces. The equivalent of five 30-racks and one six-pack. 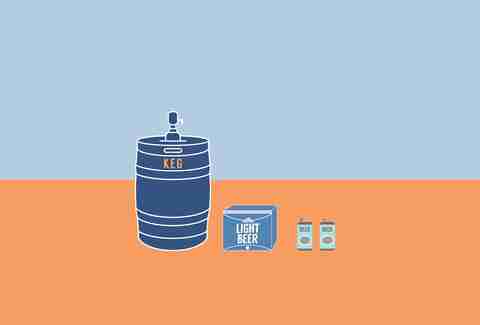 ... or one keg, one 30 rack, and two cans of beer. That's 19.5 gallons of beer, if you prefer your brews in US customary units, which you probably do. This guy could play Edward 40 Hands with 40 bottles. And then some. That's close to a full roll of duct tape. Using the basic conversion rate we all learned in middle school DARE, one beer equals one average glass of wine (5 fluid ounces). 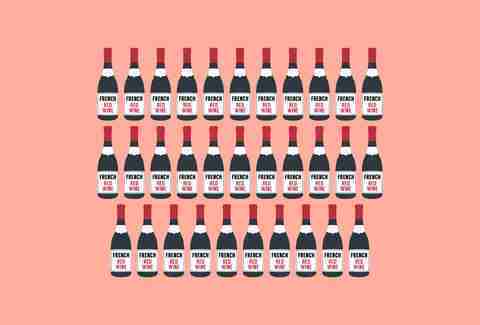 One-hundred-and-fifty-six glasses of wine would turn out approximately 780 fluid ounces -- or approximately 32 standard bottles of vino. Even for Gérard Depardieu, this is d'excès. 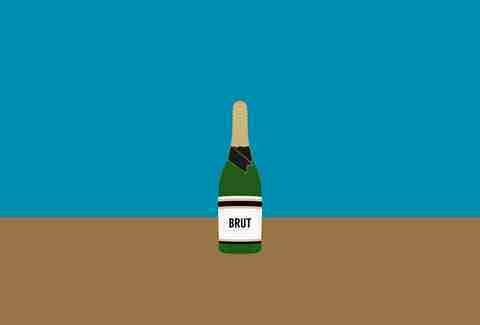 Andre, the cheapest Champagne in all the land, is slightly less potent than your average wine. So drinking a little bit more of the eponymous bubbly stuff would be no problem for Mr. 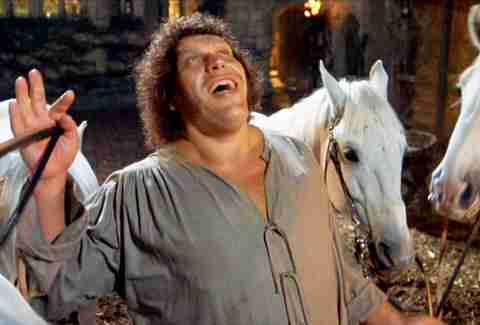 Giant, who is also named Andre, coincidentally. Kesha may brush her teeth with Jack, but apparently Andre likes to bathe in it. 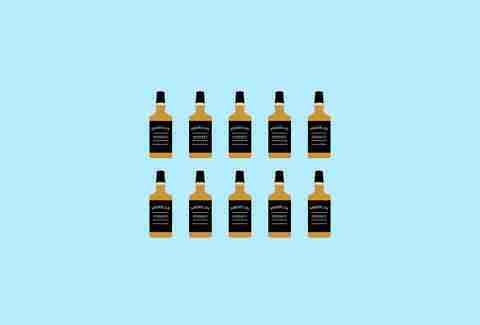 With his alcohol consumption equaling 235 fluid ounces of hard liquor, he could have taken down 10 bottles of whiskey in one night. 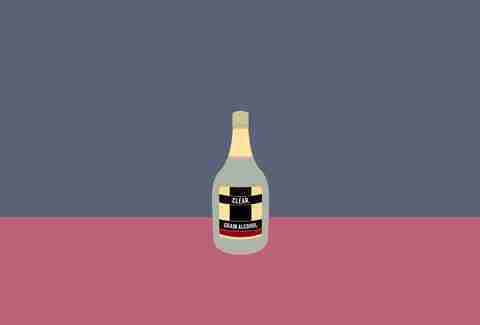 Andre could even hold four handles of your local liquor store's cheapest, dirtiest vodka -- from Vladi to Popov. Salute, comrade. This is enough to get a small village seeing double. Conceivably, Andre could knock down 65 shots of grain alcohol -- otherwise used as industrial-strength chrome remover. This 190-proof beast is approximately 2.4x as strong as regular hooch and is 25x more likely to show up at Toby Keith concerts. 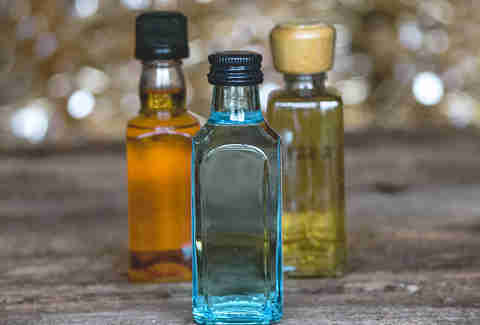 Andre would have to drain more than 1K of these little airplane boozies. He'd often clean out the entire plane's bar before takeoff to help squash his fear of flying. Assuming his drinks cost $6 a piece, Andre's wallet-shattering tab would roll out to $936. Estimating that an average bartender would spend around one minute serving him (per drink), the barkeep would be focusing two-and-a-half hours of their time on Andre alone. A medical doctor, choosing to remain anonymous because of the "deplorable subject matter," advises that no one try any feats of stupor such as these at home because Andre the Giant was a very exceptional case. So, Doc -- why could Andre drink so much? "Simply put, bigger people can drink more, because they are bigger. They have more tissue to absorb the alcohol and everything else internally is larger and will be less affected (than most people) by average portions of alcohol. Plus, I'm sure if he drank like this frequently, he built up a heavy tolerance. This is an extreme case, but certainly not impossible to believe." "I'm sure he would be hungover, like anyone would be after drinking heavily. But everything is proportional, so even though he drank an extraordinary amount of alcohol his hangover may be relative to his own size. So it would probably be normal, all things considered." And his first trip to the bathroom in the am, it would last forever after 156 beers, right? "That's an unpleasant and unsavory question, and not really possible to know for sure. But yes, I'd assume it would last a very long time." Wil Fulton is a staff writer for Thrillist. He drank 156 beers this week. Follow him @wilfulton.